Green Mountain Couple: New Year = New Me? New Year = New Me? Well as cliche as this may sound my Goal is to lose 72 LBS by June! I am going to do this by using a great website called Lose It! and my new Fitbit One! 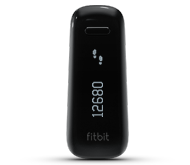 I chose the Fitbit One after looking into the two different options that Fitbit offers, the Fitbit Zip $59.95, and Fitbit One $99.95. I first saw Fitbit at our RadioShack Convention 2 Years Ago and finally decided I would get one. Both Lose It! and Fitbit have Dashboards where you can see your progress and record your daily food intake for free. I chose to upgrade my Lose It! account to Premium to be able to attach my Fitbit and Android phone to my account (on a free account you can only connect one device, i.e phone or Fitbit). The upgrade was only $39.99 a year! (Or 3.33 a month, a lot cheaper than some weightloss programs) I'm finding Lose It! makes my life a lot more simple, with its handy dandy bar code scanner on the phone app to find calories for foods. And now that my Lose It! and Fitbit accounts are connected they share information with each other, i.e any of my food and exercise I have entered onto one or the other. After only using both Lose It! and my Fitbit One for two days I feel extremely motivated to keep up my new a healthier lifestyle. I walked 8,193 Steps or 3.47 Miles, Climed 7 Floors (Or the worlds tallest Dinosaur! A little fact from Fitbit), and Burned 2,880 Calories yesterday! 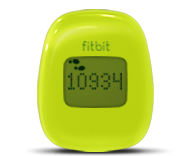 Fitbit gives you goals like 10,000 steps per day, I have not yet done that but I am eager to try. I have a great and supportive husband and my new friends on the Lose It Community are wonderfully supportive because they are going through the same thing! I will keep you updated on these to products and how they work for me. I wish Everyone A Healthy and Happy New Year! Join the National Rifle Association, I did.